Major country music festivals draw large interest from state and regional governments, and their tourism bodies – a trend that looks set to improve. Festivals tend to draw half or more of their patrons from outside their immediate communities. CMC Rocks Queensland co-founder Michael Chugg says that while the vision from the start in 2008 with the late Rob Potts was to create the biggest roots event in the southern hemisphere, it took a while to reach its current size. It started out for three years in the small but picturesque venue in Thredbo in the Snowy Mountains to 2,000 people with acts as The McClymonts, Sugarland, Gary Allan and Shannon Noll. “We started out small, in the Snowy Mountains, we took care to get good acts and make the camping a pleasant experience. After a few years in the Hunter Valley, Potts and Chugg were approached by the Queensland government to move the festival to Ipswich as part of its strategy to make the state a major events and country music hub. Over half of CMC Rocks’ audience comes from outside the state, with a 41% increase in tickets in 2018; it sold out in an hour. Ipswich MP Jennifer Howard said, “The 2018 event generated overnight visitor expenditure of $11.34 million, almost double that of the $6.93 million generated in 2017. “The move to Queensland after outgrowing the Hunter Valley has paid dividends both for the event itself and for Queensland’s economy. Tourism industry development minister Kate Jones added, “CMC Rocks has grown to be the largest international country music festival in the southern hemisphere showcasing the best international and national country music superstars. Last March, Tourism and Events Queensland and Ipswich City Council extended their deal with CMC Rocks to 2022. 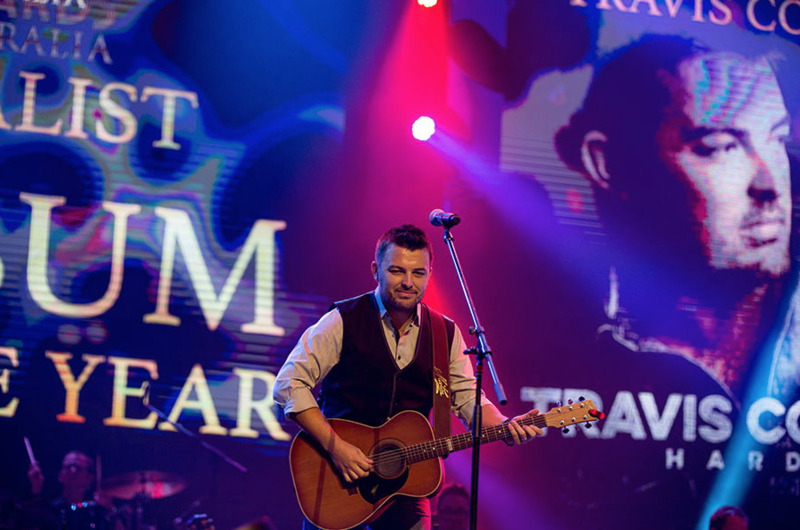 Aside from its commercial partners as Toyota, Qantas and Coca-Cola, the Tamworth country music festival also receives support from Destination NSW and Tamworth Regional Council to help it continue its economic impact on the region and state. With its draw of 300,000 over ten days, has generated $50 million of financial benefit to the community over the years. Festival research found that one third come from within 200 km of the Tamworth region, about one third from the rest of NSW (with a strong contingent from Sydney and the Hunter Valley), and 33% from around the country (a large contingent from SE Queensland) and 2% from overseas particularly from New Zealand and the US. The marketing of the festival is broken down into three. Explains general manager Barry Harley, “40%—50% is aimed at the traditional rusted-on country music fans who know exactly what they’re getting, and about 25% to families and sending them the message that it is a safe event. There’s been a significant upturn” in the number of younger fans, bringing down the average age of the festival patron from 55 to 49 last year. Of the 18,000 that attended the Deni Muster last year, 75% were out of the region, confirms its general manager Vicky Lowry. The festival’s annual impact on the local and NSW economy varies between $8 million and $10 million, depending on the year. Lowry adds, “The Muster also donates up to $100,000 to local community groups in return for volunteer hours from their members. Tourism and Events Queensland and City of Gold Coast are major partners for Groundwater. The festival’s data indicates 54% of its audience was from the Gold Coast, 28% intrastate, 17% interstate and 1% came from international destinations. Those who stayed in accommodation for the festival stayed an average of 3.6 nights. Its economic impression was over $6 million in 2016, and will most likely be close to $10 million this year. In its first year, Big Country is expecting to begin contributing to its region’s tourism factor. Its general manager Jack Stewart tells TMN: “Based on a REMPLAN Economy Report, Shoalhaven Tourism is expecting the event to inject $1.9 million into the local economy, which is a huge boost during an off-peak period for the tourism industry in the area. “The Shoalhaven and Berry have a history etched in rural and Australian pioneering history which it has maintained since 1873. With financial and marketing aid from authorities, it can be expected that Australian country music festivals will grow as their levels of marketing, production values, consumer service and A-list artist bookings increase. The stakes are high, but Barry Harley insists there is no rivalry between the festivals.